After spending many days in the past few weeks on the slopes with various alpine ski team racers and coaches I have left the mountain at the end of the day seeing and feeling high levels of frustration from these U-14, U-16, U-18 and FIS Ski racers. Usually they show extreme frustration and disappointment in how they finished. From my perspective most of the time their frustration stems from a complete lack of an organized preparation before runs and lots of negative talk throughout the day. Almost exclusively they should all be busted for dumbness and thrown into Ski Racing jail. Spend much time in the alpine racing environment and it becomes clear that most racers have a reasonably good idea of how to ski well and at times, race effectively. 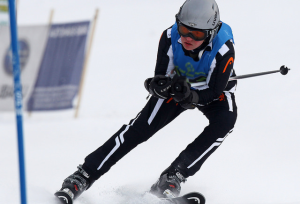 Although, as with all competitive environments, these racer’s perceptions of the results they want to achieve frequently hinder their otherwise seemingly high level of talent on skis. It can also be said that alpine ski coaches are an absolute wealth of knowledge about how to best slide down a hill. Yet they also inadvertently plant images in a racer’s head that will also arrest performance just by how they say something. Each weekend I come home with copious notes from a big picture perspective on how much the racers and coaches are their own worst enemies and how they let the surrounding race environment get in the way of successful performances. As a performance consultant, my job is to help the coaches and the racers bring out their best. Often times my diligent efforts are overwhelmed by the racers themselves due to very correctable, or at least avoidable, actions. Below are some over all thoughts from my time spent in the Start Areas of FIS qualifier races in the recent weekends. The Start Area makes or breaks racers most of the time on race day. In the Start Area it’s a bit of a free for all with respect to the racers. The skiers are not coming even remotely close to the focus that the coaches display. Coaches all are slaving away on course inspection details, ski tuning, course adjustment info, timing of the whole event, etc. The racers are mostly screwing around up until the time they approach the start house and get their boots hit with screwdrivers to knock off the excess snow before clicking in. Most of the racers have a bit of a plan about how to attack the course or handle the day but it’s not formalized and thus not often repeatable. They just want to ski fast. Many, if not all, of the racers are focusing their attention on results. Hence they often become overly anxious and under-perform. Ski racers self-talk is either non-existent in a functional way, or is so negative in its perspective that these racers are cementing in a whole lot of ‘what not to do’ before they even get to the first gate. When coaches say things like this in a negative way to their racers, the image that gets planted in the racer’s head is actually for them to be late, end up flying through the air, and subsequently missing the next gate. 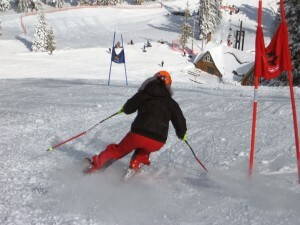 To avoid this incorrect action from happening while skiing, the racer has to consciously think through what the coach actually meant, rephrase the info in her/his head and then plant the correct image of how to handle the gate on the knoll. The only time the racer can reprocess the directive based on when it was given is right before the skier races, which is a pretty emotional time for them. Many racers aren’t capable of this kind of self-awareness in that moment; they just want to do what the coach says. With this type of phrasing the racer would have an actionable plan that he/she could confidently execute. Here’s another example of negative speak that I heard while on a course inspection recently. As a racer which one of these statements would you rather have your coach say to you? So again, two ways of essentially saying the same thing. One is empowering and gives clear direction to the skier about how to be successful in a situation, the other is correct info, in a sense, but useless from a controllable variable standpoint. As I was slipping courses along with teams during inspection I often heard great positive comments from coaches about how to deal with pieces of terrain, gate sets, and places where speed could be found, etc. In those inspection moments the info tended to be very good and structured positively. Many coaches seem to do a very good job advising their racers during inspection, when there is little emotional stress, as long as they keep their information brief and frequently ask the skiers to review what has just been pointed out or noticed. Coaches would do well to be mindful of how they phrase their directives to their racers as these skiers do take it all in, even if they give an eye roll. As the athlete answers the question it will likely provide insight for both parties as to why the skier chose the action he/she ultimately did. This past weekend while working with a male U-16 skier I had opportunity to employ exactly this approach. His starting spot was somewhere in the mid 50’s, so he was not one of the top racers on the weekend and therefor spent a lot of time waiting around in the Start Area. Whenever I checked in with him he kept telling me he was getting cold. I repeatedly asked him what he planned to do about it. He said he was wiggling his toes. The issue for me was that he had a good 20 minutes before he had to get his boots cleaned off so he had time to do some hill running, tuck squats, jumping jacks, etc. to get functionally warm. He did none of those things but kept saying he was cold. Eventually my attention was needed elsewhere. Sure enough, when I saw him again at the finish area and asked him how he felt about his first run, he told me his feet were cold and it affected how him with respect to ski control. He clearly could have made a different choice to get warm but instead chose to screw around with his buddies. I then said to him that I was puzzled as to why he avoided the suggested choices of how to warm himself up. I was especially puzzled since I knew that his coaches had given him clear direction on how to handle delays in the Start Area. I asked him if he thought a racer could ski a quality run with cold feet, to which he mumbled ‘no.’ The good news is that as we talked I stood there and literally watched as a light bulb went on in his head about how his inactions over a variable he could control directly affected his run! I’m hopeful that next weekend he will take accountability for his Start Area prep. Due to the Alpine Ski Racing day being filled with lots of non-skiing time it is very clear that all competitive skiers need a well-practiced start area routine! 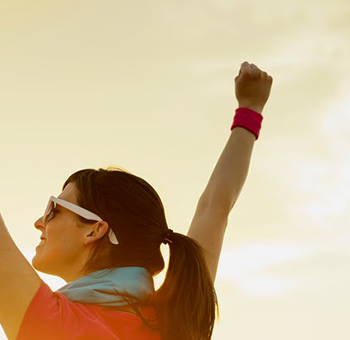 A well thought out and practiced routine will help them avoid the many pitfalls that could occur. These racers tend to expend energy in a non-productive way, spend time goofing with teammates, get distracted to the point where they forget the key things they learned during course inspection, and often stand around so long that they get cold and waste the benefits they gained from their free runs after inspection. The better skiers at the FIS level do have a bit of a routine but even they could be more efficient and less distracted by all of the variables in the Start Area. 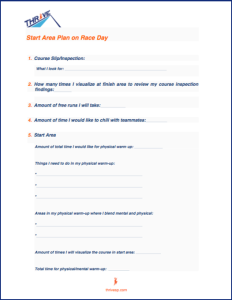 Here is a Start Area Plan on Race Day routine worksheet that would be useful for racers to work through so that next time they compete they can take accountability for their actions and focus their efforts on the variables they can control, rather than the results. I suggest that ski racers either develop a well thought out Start Area routine or be thrown in ski racing jail until such time as they do work on one. In this way they can now make, and execute, a plan to help them build confidence and prepare to ski their best.